This is the extension plug in for automatic calculation of kintone. By installing this plug in, it is possible to perform various calculations that are not included in standard functions. **The setting page automatically switches to Chinese, Japanese and English according to the language set by the login user. 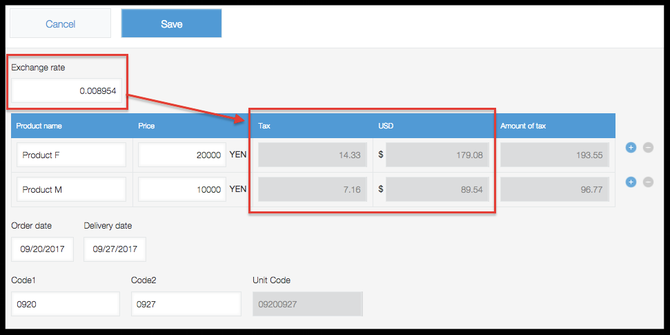 When using the round function, the number of digits to be rounded will be determined according to the value of the trigger item (On this screen, it is "Exchange rate"). ① On the app management page, click "Plug in". ② Click the gear icon of the plug in. The calculation result is displayed in this field. Sets whether or not to allow field of computed row to be editable. Check when editing is impossible. Specify when the value of the field changes when the calculation is executed. ⑤ To set the plug in, click [Update App] on the [Settings] page. Add a new record and check the fields on the edit page and list page. Also check whether the trigger fields work. If the calculation is incorrect, please check that the formula you entered is correct. * Since the data in the table can not be edited on the record list page, processing is not performed even if you set an item in the table as uneditable or set as an trigger item. Please open this page(cybozu developer network china). 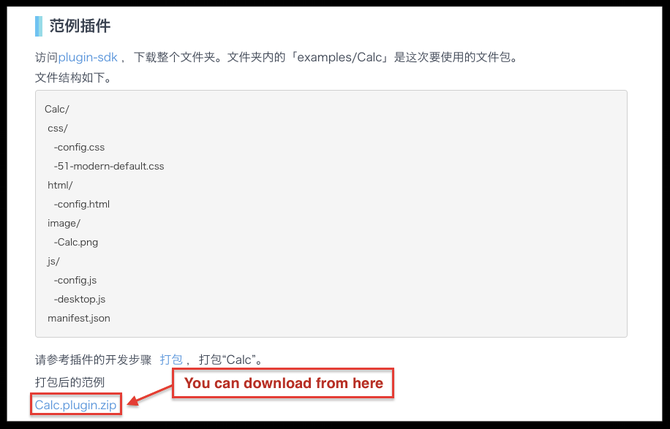 And then you can download the package of plug in from "Calc.Plugin.zip"
●The plug in function can be used only in the standard course. ● The setting page automatically switches to Chinese, Japanese and English depending on the language set by the login user. ●This sample program does not guarantee that operation is absolutely correct. ●Technical support for this sample program is not provided. ●This plug in, you can use the eval function to handle risky formulas. For example, you can enter some code that can call an external service API or loop code that calls the kintone API or other potentially dangerous code that could cause serious events such as paralysis or information disclosure. Please note that on the premise that there is the above risk. Cybozu doesn't take any responsibility or liability for any damage or loss caused through this service.